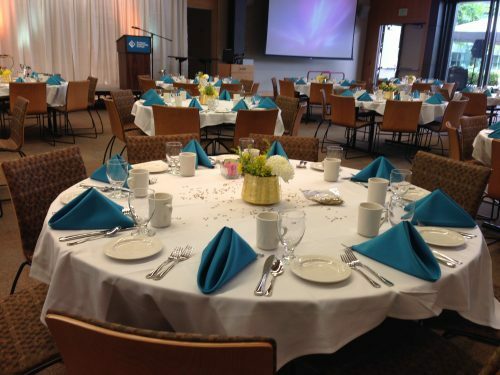 PCC is the perfect place to host your upcoming event. We offer a variety of services and venues that can accommodate your group no matter the size. While our primary focus is dedicated to serving the needs of our academic mission, we are able to offer space rentals to the community outside of class time when spaces are available. 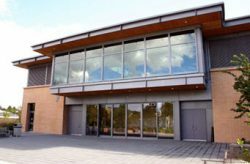 Whether you are looking for a meeting space, a theater or an athletic venue, Portland Community College has a variety of spaces, services and locations to offer your next event. Not sure what sort of venue you need? No problem! We can help determine the best space for your event. Available at many of the campuses and centers across the district, most of these gathering spaces have a smart podium with a high speed Internet connection, projector and screen. Consider the Performing Arts Center (PAC) at PCC’s Sylvania Campus for your next performance, lecture or event. Pick from our beautiful auditorium, sunlit lobby, intimate little theatre, classroom or courtyard. Located 1.5 miles north of the 185th St. exit on Highway 26, the center is ideally suited to fill the meeting space needs of Washington County businesses, government agencies and the non-profit community. 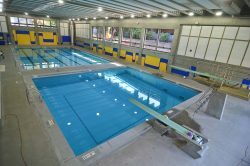 Four of our locations offer a variety of athletic specialty facilities, including a pool, track, athletic studio, tennis courts, soccer field and a softball field complex. Whether you look out over the gently sloping hillsides around Sylvania Campus, the rural expanse of Rock Creek Campus, or the bustling cityscapes of Cascade Campus and Southeast Center, your event can be a hit thanks to popular, high-quality catering services.